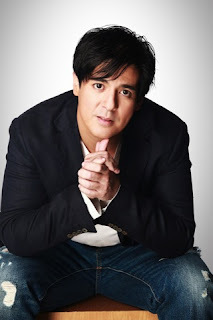 TV5, one of the strongest TV Networks in the Philippines, is sending Aga Muhlach off the country, to which we need to know where and why. To make it more exciting for all of us, TV5 has just launched the Nasaan Si Aga? Text and Twitter promo last August 10, 2011 at Borough in Podium mall. This promo runs from August 10 to September 1, 2011. To perk up the challenge, some clues will be slowly revealed on Nasaan Si Aga? official website and also in newspaper print ads to guess where Aga Muhlach is going. Intriguing, isn't it? To join the “Nasaan Si Aga?” text promo, interested participants can register by texting AGA REG to 2929. Remember that registration is FREE! To start guessing Aga’s whereabouts, participants can text AGA to 2929 and earn one raffle entry for each answer sent. The text promo is open to all Smart, Sun and Globe subscribers. Tariff rates apply. On the other hand, for the “Nasaan Si Aga?” Twitter promo, participants can visit Nasaan si Aga? official website and start earning raffle entries by tweeting using the #nasaansiaga hashtag. Each Twitter user earns one raffle entry regardless of the frequency of tweets made. The profile photos of twitter participants who tweet using the #nasaansiaga hashtag will be gathered by a system to form a mosaic that will show the image of Aga’s location. This mosaic will be on view on the official website. So don't delay because the more tweets with the required hashtag are sent, the faster the image will be formed. Upon reaching 10,000 tweets, the complete image will be revealed. The promo ends on September 1, 2011. On this day, one lucky Twitter user from the mosaic will be chosen as the winner of a brand new Apple iPad2. The Nasaan Si Aga? text promo winner of an Asian adventure for two (2) will also be revealed during an event in September 2011.